Great post and something that many might not even consider. I recently discovered Sara’s blog, Rough Diplomacy. 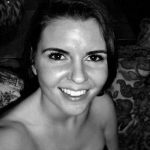 Sara is a veteran of Active Duty Air Force and Navy Reserves, plus a Bioinformatics graduate, and her blog reflects her diverse interests. More than anything, however, it highlights how passionate she is about history—and military history in particular. With her permission, I am sharing here some of the wonderful material I have come across as part of my Fun Historical Facts series. One of Sara’s posts, which is of special interest to authors, deals with the subject of US food rations from the War of Independence todate. As Napoleon famously observed, amateurs discuss tactics; professionals discuss logistics. A lesson all writers should heed in their tales! You’re welcome. It’s definitely a thorough post. I didn’t even know there was a word count limit until now.